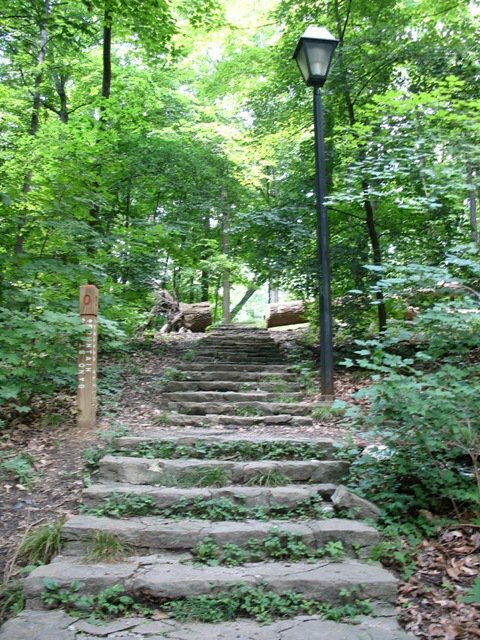 Cincinnati is a hilly city and has a lot of charming (and also spooky and decrepit) forested old staircases connecting neighborhoods. So this project is also a nod to the history of our city, and the generations of people who have appreciated the sunshine through the trees as they travel these staircases. An idea immediately took hold of me, and I put aside a lot responsibilities and deadlines to crank this out. 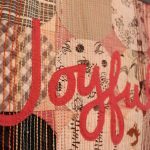 I love making scrap quilts that play with light effects so they twinkle, and this scrappy strip piecing method is my go to. 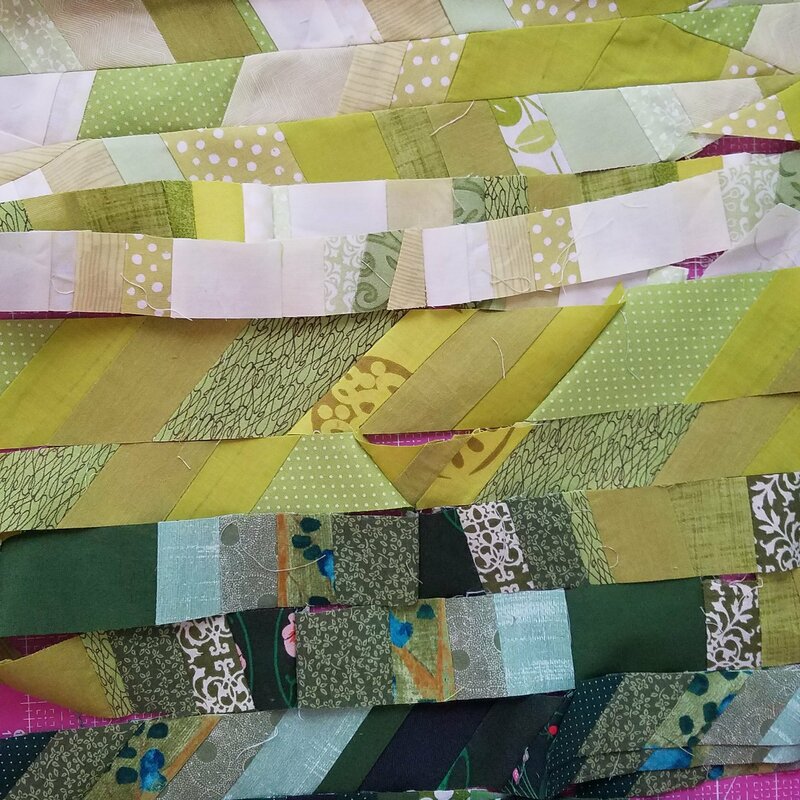 I started with scrappy strip piecing. I pulled out all my green and put a lot back. I was looking for a warmer tone. As always happens with improv, it starts fun and quickly gets challenging to figure out how you will tame the chaos. I spent a lot of time rearranging before I realized I wanted more mid tones. I got 90% done with stash, and then had to go to the fabric store for a giant pile of new fabric to finish the last little bit. Luckily I could get away with eighth yard cuts, so I could get a lot of variety for little cost. Here is my sweet helper for scale. Teething guy with his fingers in his gums. Poor baby. I hung it up on the window to enjoy it for an afternoon. It looked amazing with the light. I want to make a quilt with finished seams I can hang sone day! But this one has too many tiny seams, so I needed to secure those with some dense quilting. Then I quilted it with half inch spirals using a variegated sulky 30 wt I had in my stash. 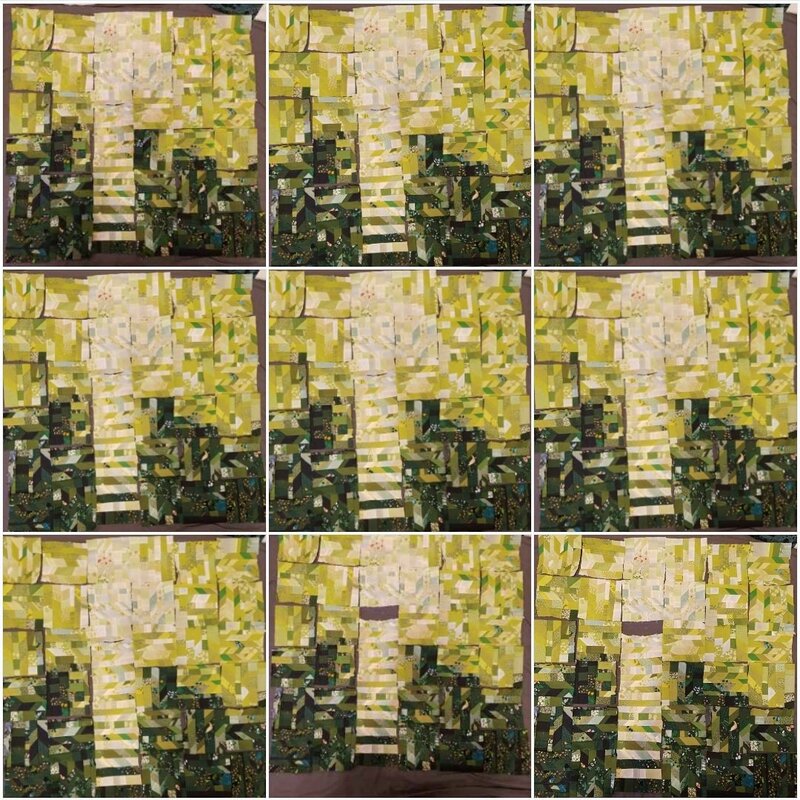 At first I did the whole quilt in the same light greenish yellow thread. And I hated the way it looked on the dark green. Like my wild forest was in prison. I asked about it on Instagram and everyone said it was fine. But once I got in my head the prison bars I couldn’t stand it. So I got out my seam ripper to pull out stitches and my side threading needles to bury some threads. You can see the before above, and the after, below. I left the light thread on the light stairs, so I had to bury and re-start a lot of threads. But it was very satisfying work as I was so sure it was the right call and looked worlds better. My wild forest was free again, haha. And on the back I did a facing for the first time! 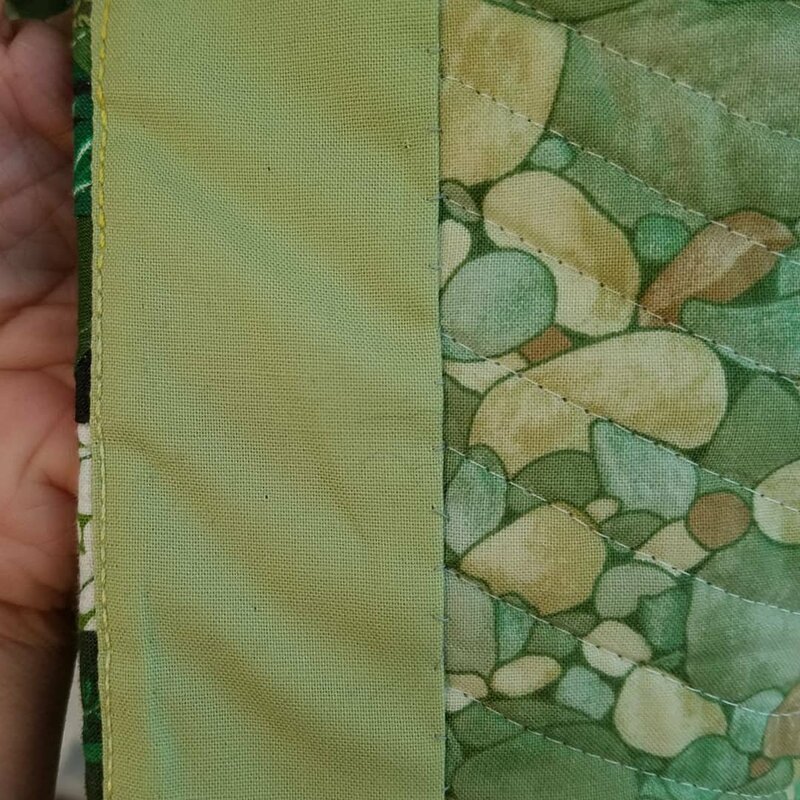 I have made hundreds of quilts, but this one seemed like binding would have ruined it. I am so pleased with the facing, I used Terry Aske’s Art Quilt method and really recommend it. She has explained why she made all her choices among the different ways to do facing and it was both interesting and helpful and well-written. 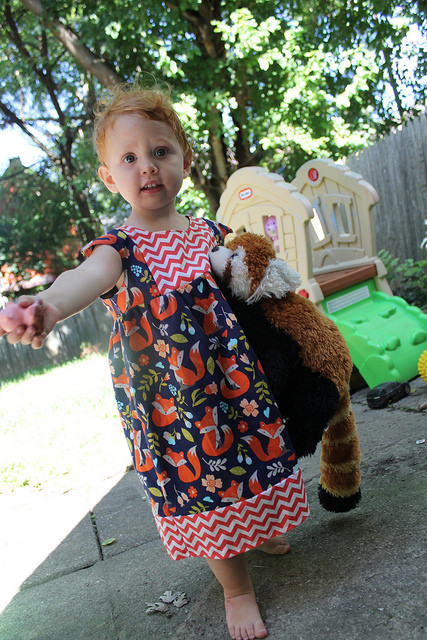 This blog post was inspired by the Bloggers Quilt Fest hosted by Amy’s Creative Side. 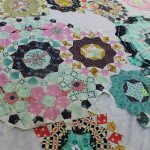 She has streamlined the process from a lot of categories and voting to “share up to two quilts” which I think makes a lot of sense! So go check out the quilts! It is always inspiring and fun to see what people make. Wow, I really like the vortex look of this. The swirling leaves and steps you did a great artistic job on this. I love it! 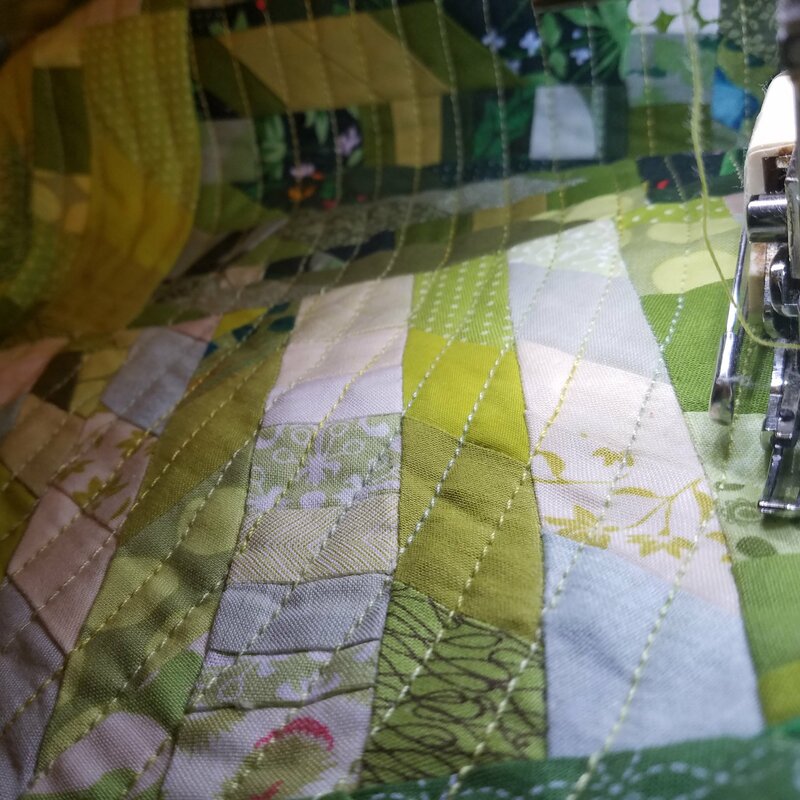 I think it was totally the right call to take out the light quilting on the dark green, it really looks awesome now. And the facing makes it a real piece of art. 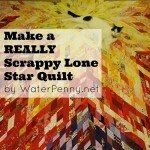 I am not much of an improv quilter, but I really want to try more after looking at your quilt! This quilt is amazing! 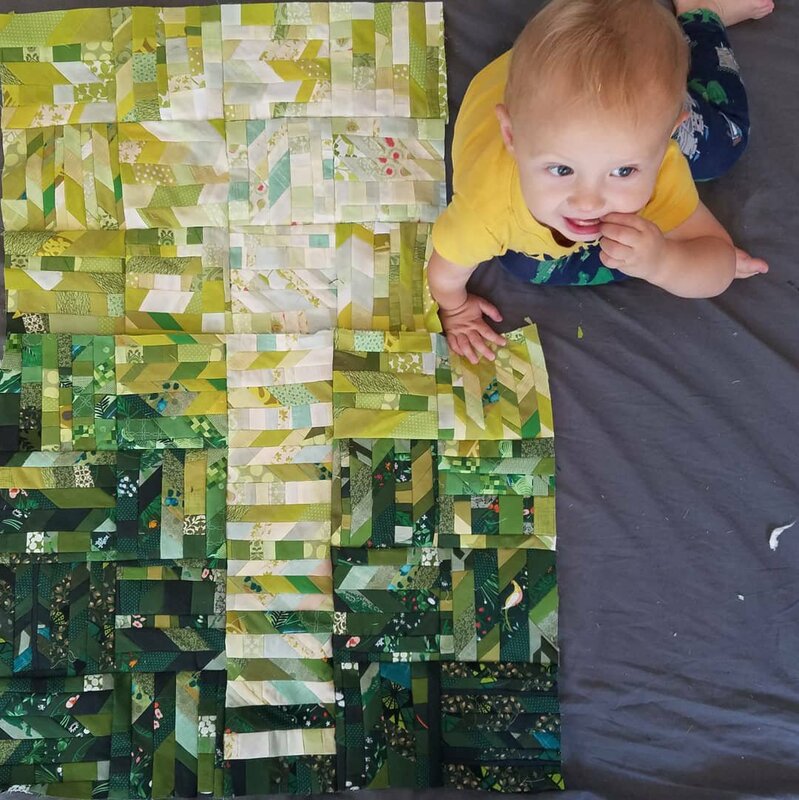 I can totally see the stairs from your photo inspiration and the story behind the quilt makes it so much more special. Also, I can totally relate to the shirking of all duties when a project starts hollering!!! I’m with Nancy WOW. This is beautiful and so many small pieces. I love the circular quilting, that is something I want to do someday. 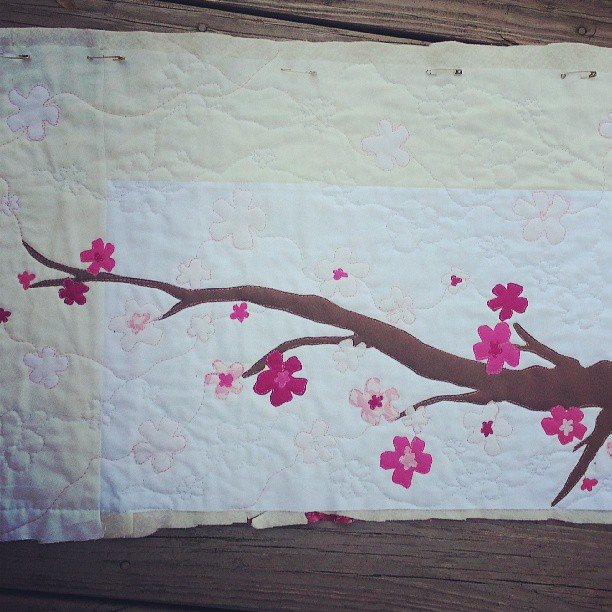 What a lovely serene quilt! 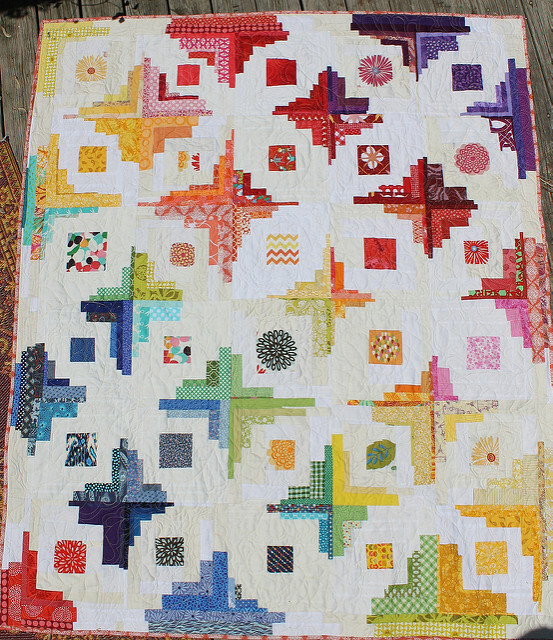 Love the circular quilting too! Wow this is so fun and beautiful. Love the window picture so much. 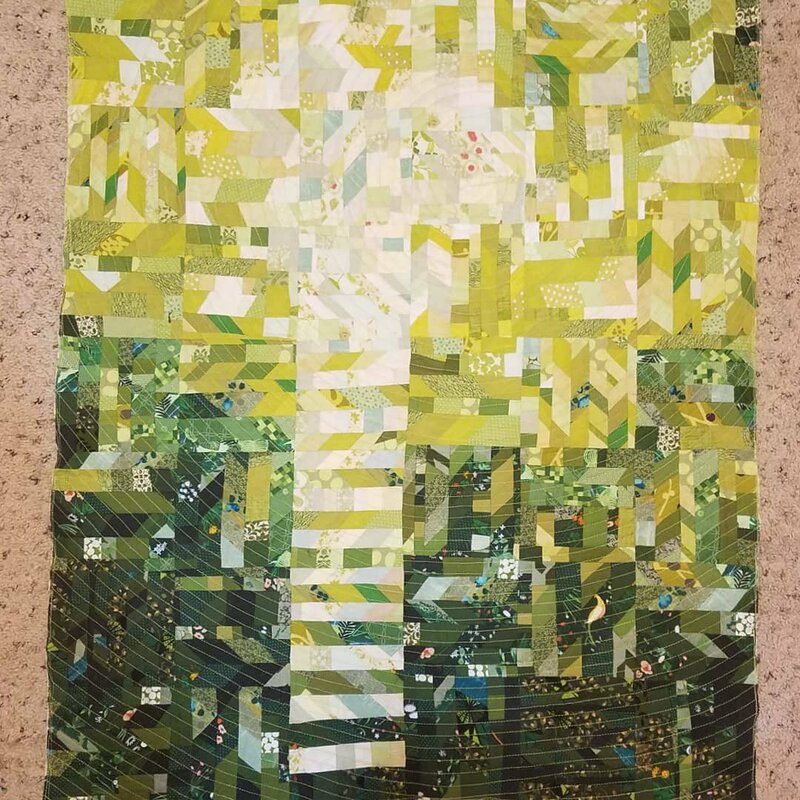 Wonderful quilt – love your piecing work. The back story is great, the quilting is great everything about this is great. Just added your blog to my blog feed. 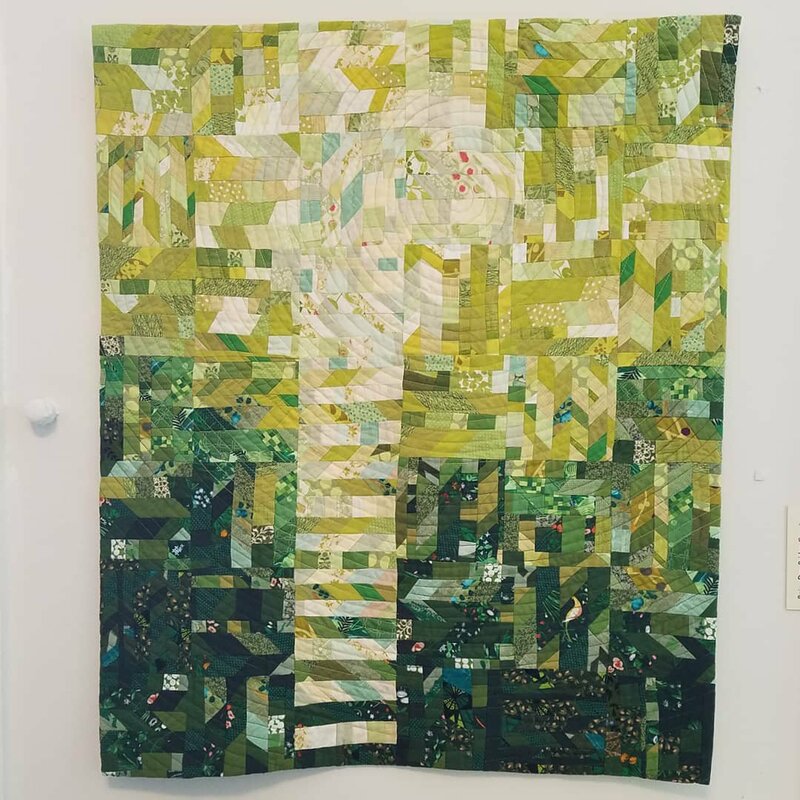 Such a beautiful art quilt with so many love green fabrics. 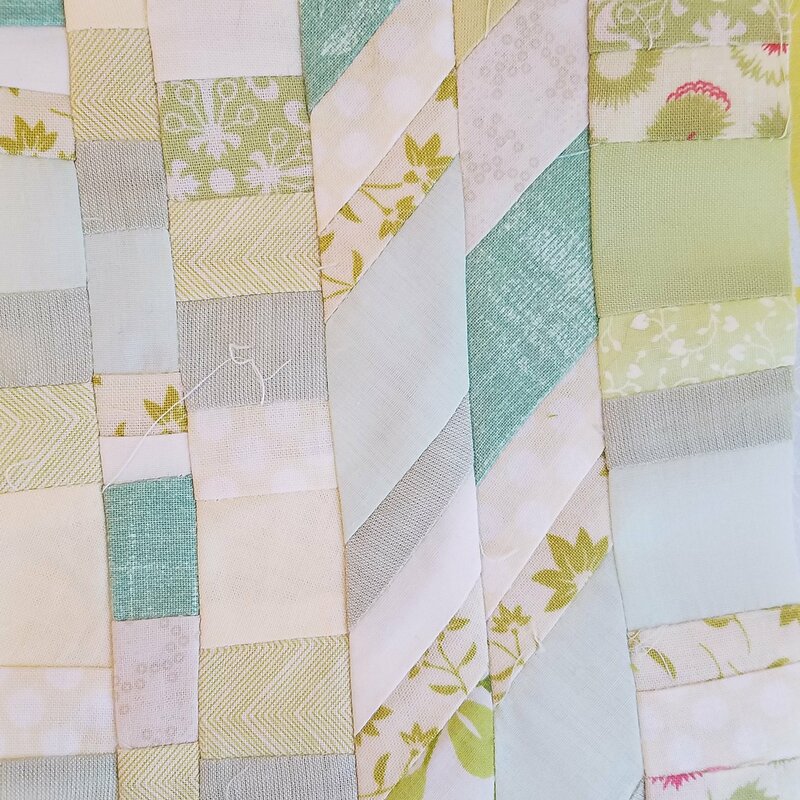 Your circular quilting offsets the straight line design nicely. Wow!! Love the colors and the busy arrangement! Nice job!! 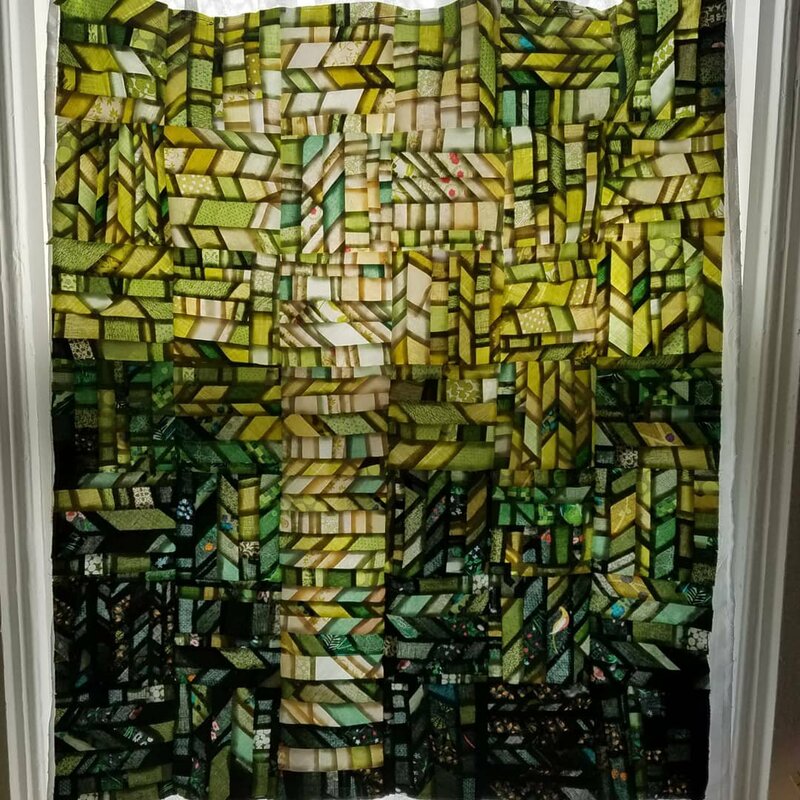 Really amazing quilt! 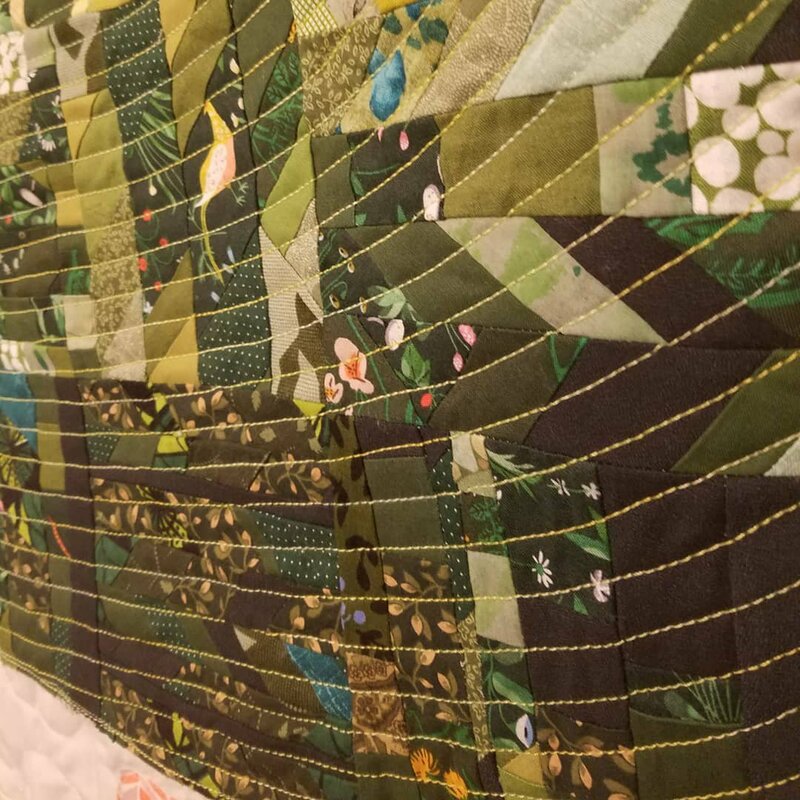 I enjoyed reading about your process, especially the fact you weren’t afraid to rip out quilting and re-do until you were satisfied with the look.